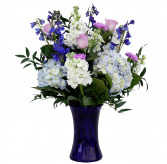 You can send flowers from ROXANNE'S FLOWERS to any hospital or care facility listed below. Please refer to this list for the names, addresses and phone numbers. 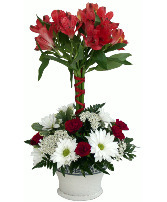 Dailey Flower deliveries are made to local Hospitals in Ephrata, and Lancaster PA.
Roxanne's Flowers also deliver Folwer Arrangements to retirement Communities and to senior communities in and near New Holland, Lititz, Lancaster, Denver and Akron PA.